NBA's Nik Stauskas Passes The Rock To GF, Will You Marry Me?! … Will You Marry Me?! 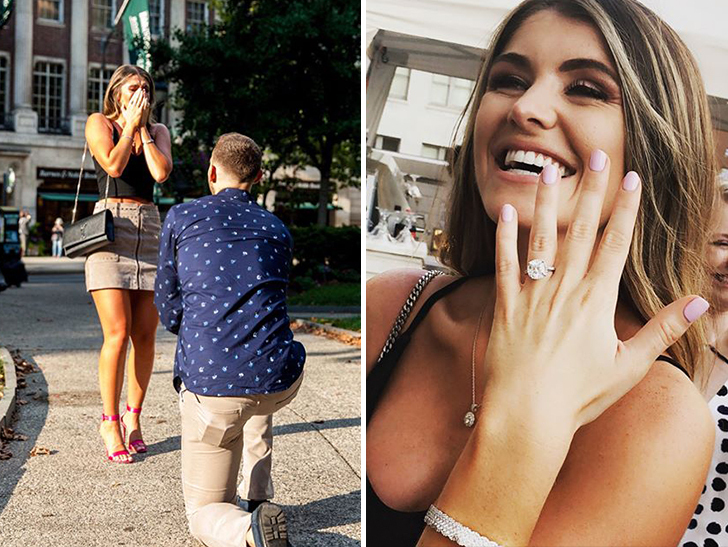 NBA guard Nik Stauskas just took the biggest shot of his life … and SCORED — ’cause his smokin’ hot girlfriend said yes to marriage!! The new Trail Blazers stud just met Alexandra Brynn last August … but things heated up quickly — with Nik popping the question Wednesday in front of EVERYONE at Philadelphia’s Rittenhouse Square. And, yeah … the ring is definitely NBA sized. “Words can’t even describe the feeling I had waking up this morning knowing I’d be waking up next to you every day for the rest of my life,” Nik said on his IG page. Dave Winfield Says Kyler Murray Smart To Quit Football, I Would Know!